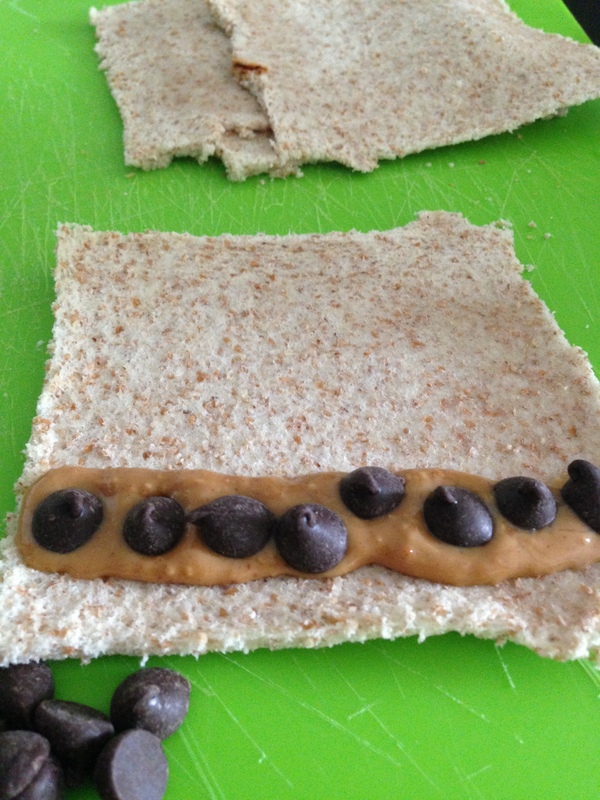 I wanted to try making a sweet treat with sandwich bread and found this recipe on Pinterest. It looked relatively easy so I thought I’d give it a try! I switched in whole wheat bread instead of white bread, but kept the white sugar instead of brown to keep the light golden look around the strudel roll. It’s an easy treat to make, but I found that they tasted the best fresh off the pan vs. the next day. After knowing that, I would say the prep work (even though not much) required for it wasn’t worth the effort – instead I would just make french toast and top it with my favourite toppings! 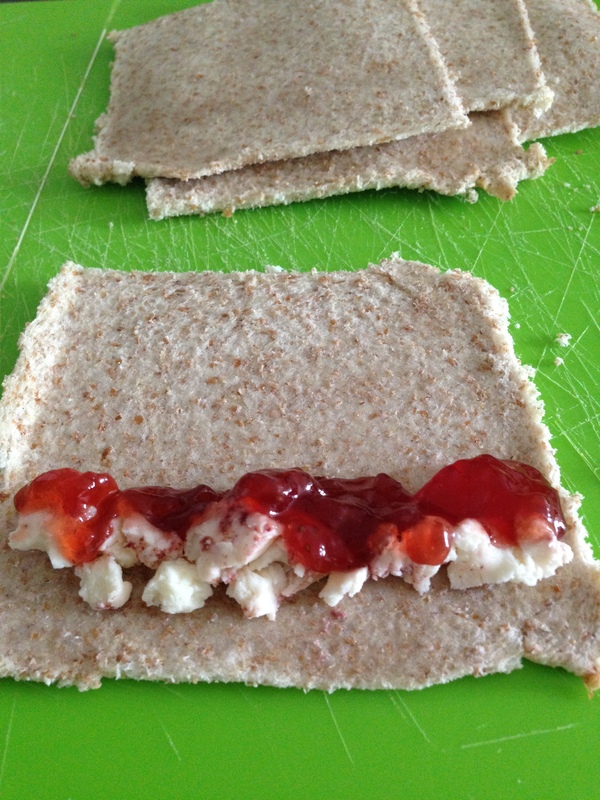 In this recipe I tried two options (1) strawberry jam & cream cheese and (2) chocolate chips & peanut butter = YUM! 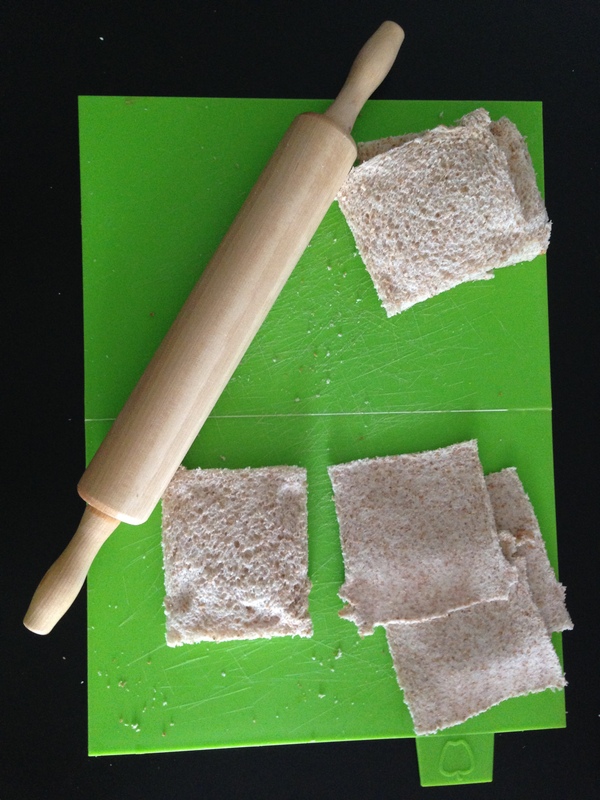 TRIM & FLATTEN: the crust from the bread and flatten it out with a rolling pin. 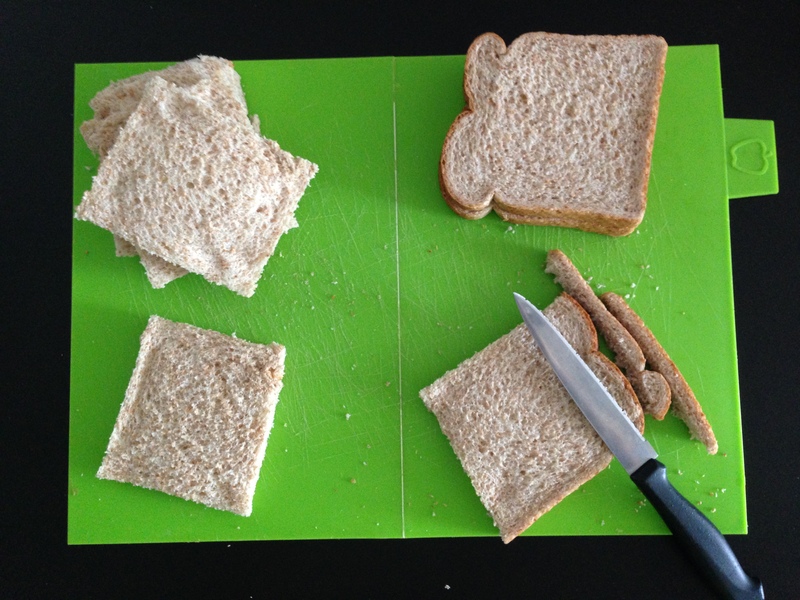 FILL & ROLL: about a teaspoon or 2 of your chosen filling an inch from one end of the bread spread out in a strip. Roll the bread up and repeat until they’re all filled. WHISK: in a shallow bowl the eggs and milk until well combined. 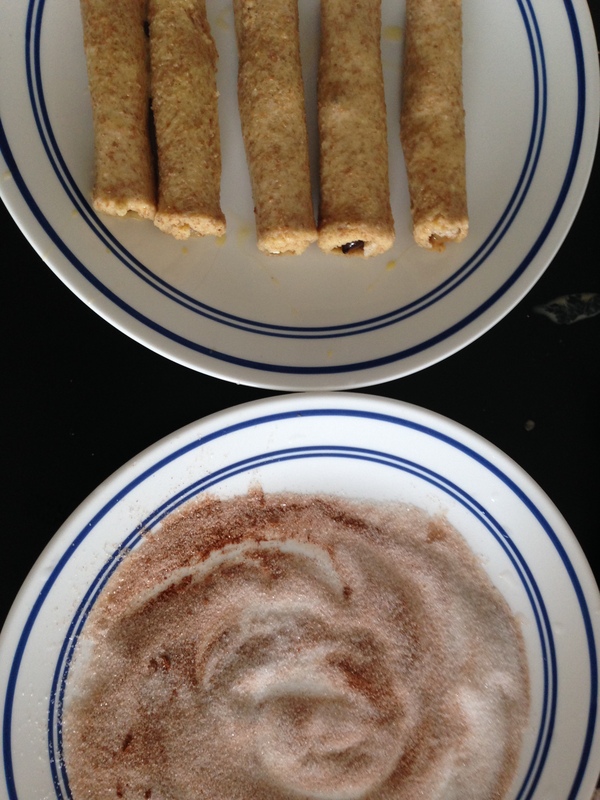 COMBINE: in a separate bowl the sugar with the cinnamon. PREHEAT:the skillet set over medium heat and melt a tablespoon of butter. EGG COAT & BAKE: the rolls to the egg turning to coat on all sides then place them in the pan seam side down. Cook in batches until golden brown, turning them to cook and brown on all sides. Add butter to the pan as needed. 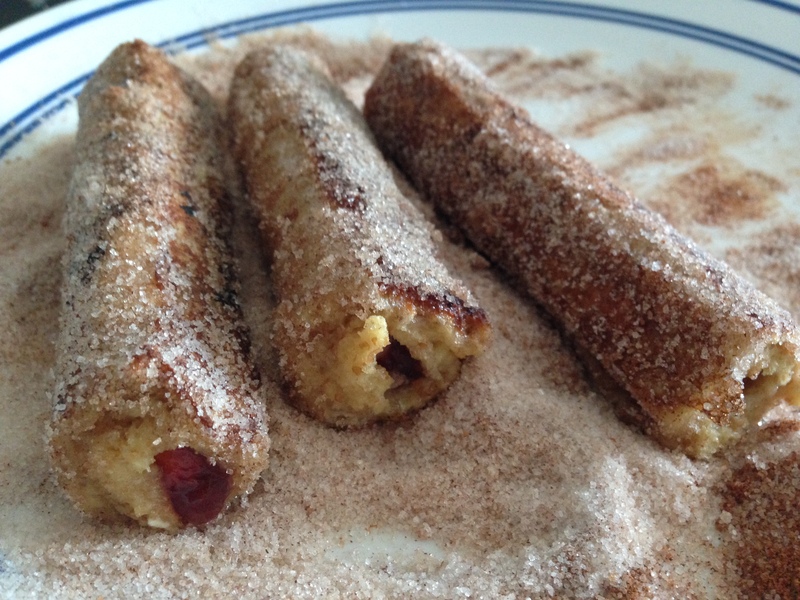 SUGAR COAT: add the hot rolls from the pan to the cinnamon sugar and roll until completely covered in sugar. 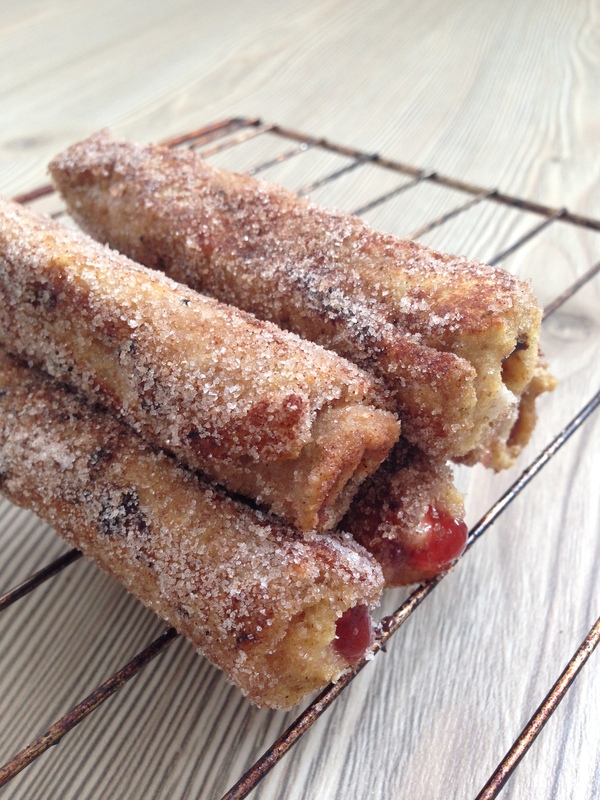 Serve with maple syrup for dunking. Posted in BakingTagged baking, chocolate, cream cheese, food, peanut butter, recipes, sandwich bread, strawberry, toast, whole wheat breadBookmark the permalink. keep visiting this website and bbe updated with the most recent information posted here.